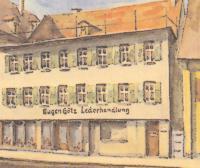 Since 1892, when Eugen Götz started his leather trade in Göppingen, the name Götz is closely connected with Göppingen. has to do with shoes and the competence in this sector, was from the beginning the focal point for the continue growth of the company. Traditional worth, up dated thinking and commercial trading comes together as one. Götz Service today: Together we take advantage of the optimal market chances. 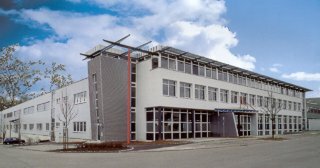 The Götz Service Company with it's competence has over the years become known for its innovation and customer service. With its innovative products and the right marketing concept the Götz Service offers new opportunities. With this we mean the need to recognise the up coming market, to develop individual customer concepts and to realise them together with orthopaedics and medical services. Together with our customers we take advantage of the optimal market chance and in addition generate sales, that is our challenge. A challenge that we set for ourselves.